I am Ann from Salt Spring Island, BC. 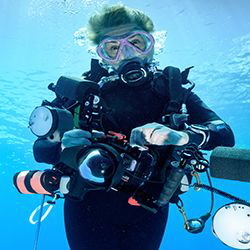 I am an avid diver and started photography about 7 years ago. I shoot with compact cameras, both the Sony RX100 and TG5. I am also the author of a children's book entitled Dive into Colours available on Amazon.com.